There are various types of marketing tactics that one could invest in, banner ads, email campaigns, point-of-sale materials, etc., and unless you have a limited budget, the return on many of these investments ends once the asset is no longer active. However, influencer marketing has some unique attributes that give you longer-term benefits in addition to the short-term benefits. While this is self-evident, it's very valuable. Once the influencer is done posting content to social networks and/or their blog, the content typically stays live and works for you after the campaign closes. In our experience, we've seen Pins be re-pinned years after our programs have ended and sometimes even at a faster rate than they were getting pinned when our program was running. Additionally, when it comes to blog content, we can see blog views and that they continue to improve for months and months after the campaign. In fact, the average lifespan of a blog post is about two years. Related to number one, number two is ongoing sales. Nielsen Catalina has a wonderful study where they looked at Silk Almond Milk sales and people exposed to their influencer marketing campaign. What they found was for every thousand people exposed, $285 more Silk Almond Milk was sold to those people versus the control group that didn't see the content. What's also interesting is that this campaign was evaluated over a two month period, but after that two-month timeframe, the influencer produced blog content was actually viewed multiple times over the next 10 to 12 months, which wasn't even counted in the aforementioned sales data. 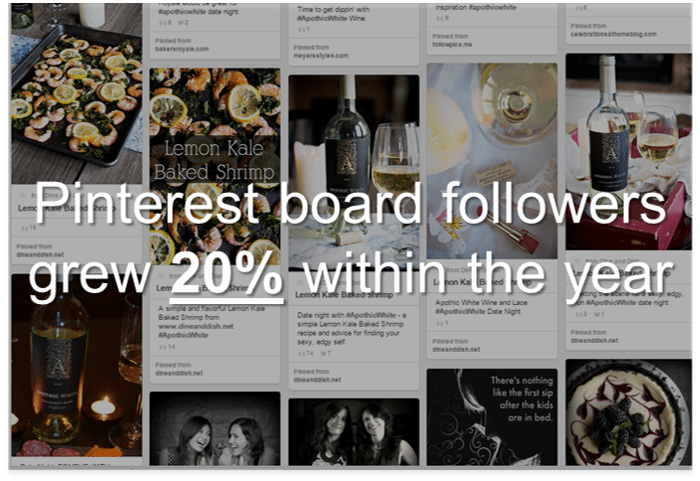 What this means is that those people who saw blog recipes and other blog content were more likely to buy Silk Almond Milk - that exposure for the next 10 months also drove real value to the brand. Additionally related to number one, since the content lives on it's still able to be searched. 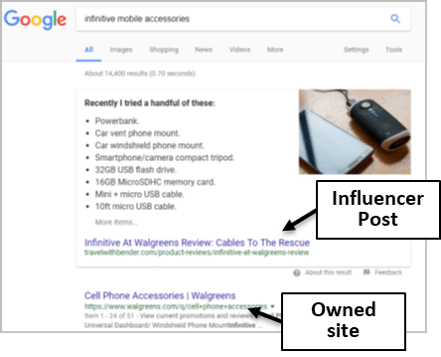 We've seen an example with a client that when we Google-searched for their house-brand product, sold at their retail location, one of our influencer's blog posts was a feature snippet on Google that actually ranked first above the brand's owned content. This shows that having that sort of third-party credibility and promotion of the content can help your brand rank number one on Google, which is very, very valuable. Now, some people confuse this search value with the links that the influencer gives back to the branded site. You have to be careful with this. At Carusele, we use no-follow links to comply with Google rules, and you should too. So, it's not that you get the link building but it's that people discover the branded content through search engines on an ongoing basis, not just through your website. 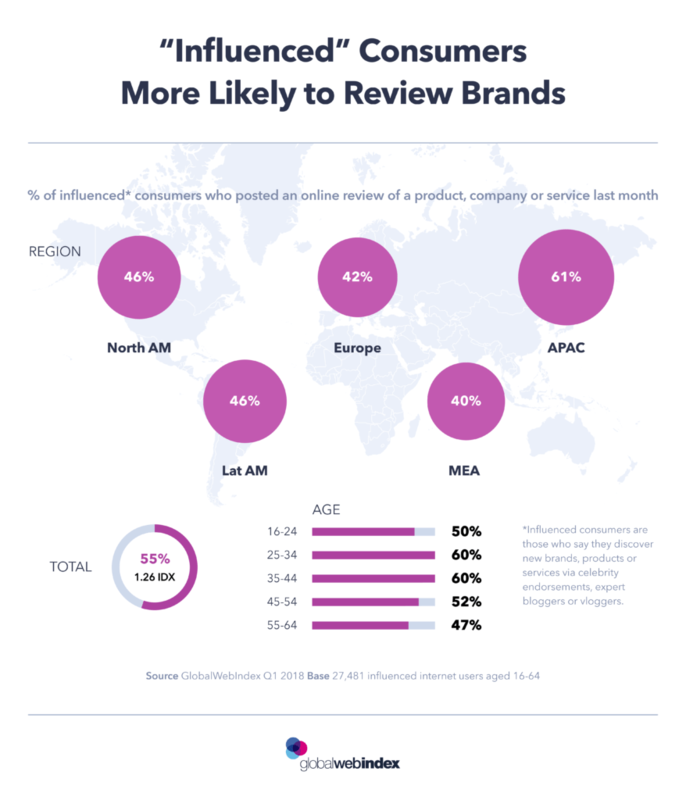 Our fourth point derives from new data that just came out this week from GlobalWebIndex, showing that people who were influenced by influencers are more likely to leave reviews of the products than other people. In fact, they're 26 percent more likely to leave a review on products they buy than people who weren't influenced by influencers. So as you see, the influence cycle sort of continues -- Influenced - Purchase - Review - Influence -- It's a really powerful thing. And finally, the fifth item is content value. Let's not forget that influencer content can be reused, assuming you've done your influencer contract right and you as a brand have the right to reuse the influencer content. And this content value can be really, really strong. 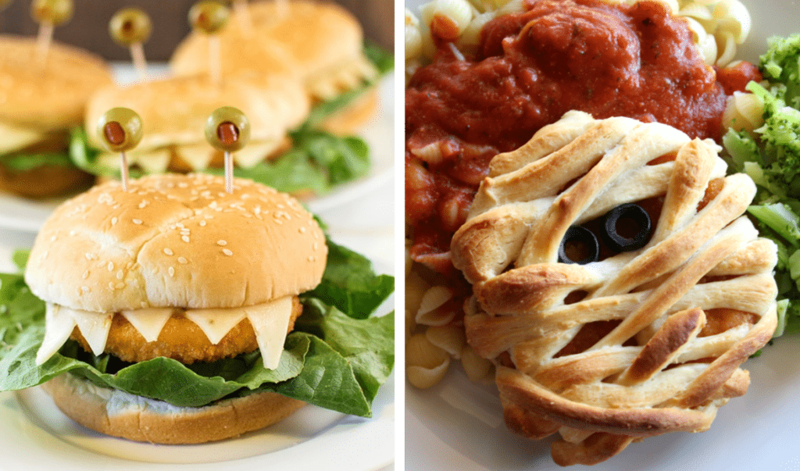 For example, we executed a campaign with a well-known food brand centered around Halloween - influencers developed content that had items like chicken sandwiches with the cheese set to look like fangs and olives set to look like eyes an such. Well, that content is not going to expire and is perfectly good to use again the following Halloween. So some of this content can save you lots and lots of money over time from not having to have agencies or in-house teams recreate the content. So those are just five long-term benefits of influencer marketing. If you have others, let me know! I'd love to think about them with you.